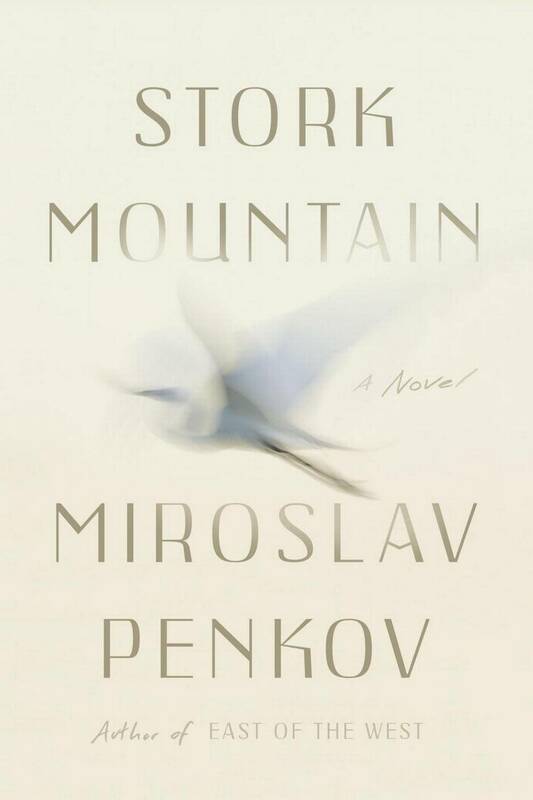 Miroslav Penkov’s whimsical debut novel Stork Mountain brings readers to the rural Bulgarian village of Klisura, where an unnamed American narrator has just arrived to live with his grandfather. Compounding the generational and geographical curiosities of their rekindled relationship, Klisura itself is a place in flux, pulled apart by opposing factors of tradition and modernity. 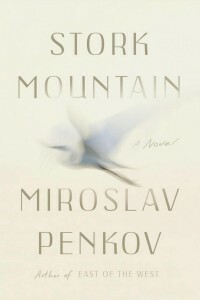 Penkov’s Bulgaria is a murky midpoint between Greece and Turkey and Christianity and Islam, and Stork Mountain attempts to discover Klisura’s native identity by way of an intoxicating blend of local customs and magical realism. The fictional Klisura is steeped in hazy folklore surrounding the nestinari, an ancient Bulgarian religious group known for their fire rituals and coal walks: “Every year, for thirteen hundred years, the nestinari dance. Come spring, come June, come the feast of Saint Constantine, the feast of Saint Elena, they build tall fires, three cartloads of wood torched and burned to embers….where the nestinari dance, the fire leaves nothing.” Curiously, Penkov conjures the incendiary nestinari in tandem with the region’s stork population, fancifully comparing the two entities’ migratory traditions. Stork Mountain seamlessly entwines the authentic with the imaginary, creating a local history so spellbinding that one can only surrender to its flow. My thoughts turned like concrete in a mixer: ancient skulls mixed with stork eggs, with muddy rivers, with fire dancers and janissaries slaying Christian bandits and dragging them by the ankles through the dirt. Captain Kosta watched me, atop his cask of gunpowder, his face black with the smoke of battle, his face the face of Grandpa. Although Stork Mountain’s narrator arrived in Klisura to learn about his own history and family, something new has emerged instead: his story has overlaid with those that came before him, synthesized into something new. Structurally, Stork Mountain fails to match the brilliance of its vision, although its shortcomings may be an intentional attempt to formally mimic Klisura’s historical tenacity. In one of the novel’s many flashbacks, Grandpa recounts how Klisura’s school and many of the town’s other buildings were repeatedly destroyed in the name of the region’s political and spiritual tensions. “How many times had Klisura burned to the ground?” the narrator wonders. “How many times had its people rebuilt, as if out of sheer spite?” Penkov, frustratingly, adopts this determination in his prose: the novel is riddled with short, choppy chapters spanning seven discrete sections, and arcs build and peter out, as if repeatedly razed to the ground. Elif and the narrator quickly develop a passionate relationship that intensifies and recedes; a plot about an illness that afflicts some of the town’s girls emerges and disappears. A plan to build wind turbines is introduced in an effort to modernize the village but is clouded by a backstory about the land’s rightful owners. These threads are riveting in all their peculiarities, but their cohesion is ultimately lacking. Despite Stork Mountain’s somewhat flailing execution, the novel remains a deeply affecting work strengthened by its expert handling of the unknown. An inquisitive reader trying to make sense of Penkov’s sorcery will have countless themes and ideas to mine for allegory. The nestinari, the storks, migration and border politics erode into more abstract thoughts about a person’s limits, and the boundaries, or lack thereof, between generations. “With every word the borders crumbled,” the narrator think while lost in another of his grandfather’s stories. “The territories of our hearts expanded, overlapped, and merged into one.” For a novel so foreign, positioned on the precipice between lands distant and imaginary, this melding is nothing short of a marvel.